When Uttar Pradesh assembly election 2017 is getting ready to electios new Assembly, Muzaffarnagar is not anywhere behind in the election heat. 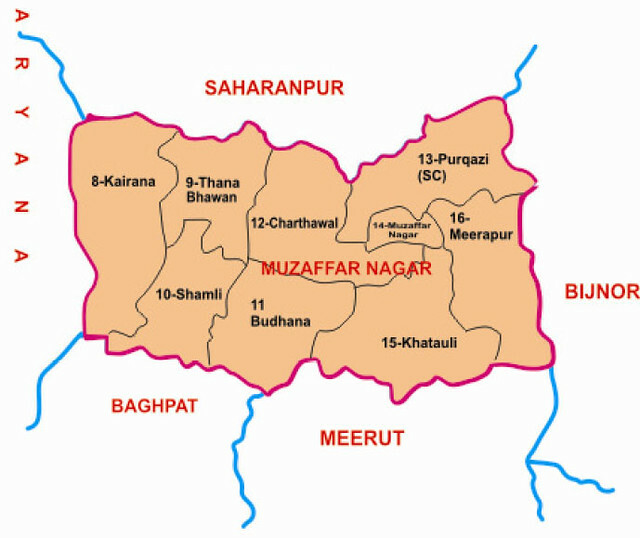 Muzaffarnagar District (Hindi: मुज़फ़्फ़र नगर ज़िला, Urdu: مُظفٌر نگر ضلع‎) is a district of Uttar Pradesh state in northern India. It is well known for its agricultural prosperity (Highest agricultural GDP in UP) and is one of the most prosperous districts of Uttar Pradesh. This district, being one of the highest producer of sugarcane in the country, is also known as "Sugar Bowl of India". It is part of Saharanpur division. The city of Muzaffarnagar is the district headquarters. This district is also the part of National Capital Region.